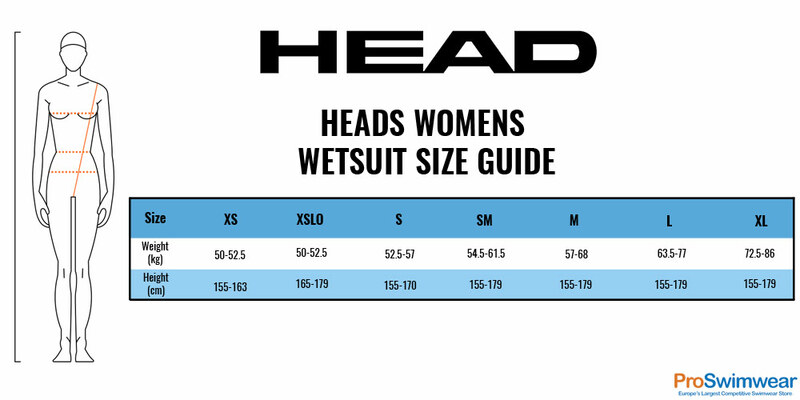 The Head SwimRun Women's wetsuit has been built on a base of extremely flexible 2mm neoprene that provides great mobility and ensures free movement in the hip area while running. Coated with a special "Glide skin" coating, the SwimRun wetsuit has an increased speed resistance to water. Featuring a front and back zipper, the wetsuit can easily be opened upon exiting the water and begging the running section of a SwimRun race. Two easily accessible inner pockets for carrying extra equipment and accessories. Nylon panels have been strategically placed between the legs to reduce the frictional damage that could occur when running with the wetsuit on. Extra added nylon loops to easily fasten tow lines and accessories.